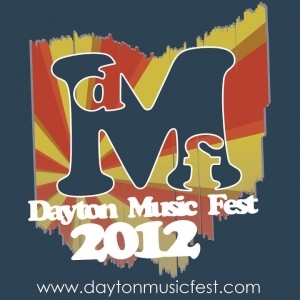 The 8th annual Dayton Music Fest is this Friday and Saturday and boasts an exciting lineup of local indie rock curated by scene vets Don Thrasher and Kyle Melton. For only $10 for a weekend pass you can check out over 30 of Dayton's finest acts including, indie-pop darlings Vanity Theft, jittery noise-rockers Astro Fang, the throwback rock of Duke Of Owls and The Dirty Socialites with their nostalgic 90's indie rock sound. The Motel Beds and Me & Mountains will also show why Dayton's scene is alive and well and Captain Of Industry will reunite once again. I am most looking forward to seeing the rootsy Southeast Engine pay tribute to local legends Guided By Voices by covering the A-side of their classic album Bee Thousand, along with a regular set, on Friday at the free kick-off show at Omega Music and then play the B-side on Saturday night at Canal Street Tavern. The Dayton Music Fest will take over such venues as South Park Tavern, Blind Bob's, and Oregon Express, along with an outdoor stage at the Midwest Outdoor Experience at Eastwood Metropark. Come be a part of the Gem City's thriving and eclectic music scene! Micheal Burgin - "Some Heavy Hammer"